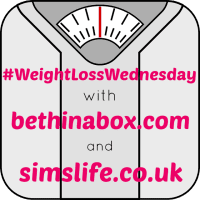 Welcome to Weight Loss Wednesday Linky Week 49! I totally gave up this past week, I’ve not stood on the scales once… mainly because I am a little scared to, though as my clothes still fit ok, it cannot be too bad hey? I’ve certainly been eating more recently, I put it down to the fact that going into hibernation mode during the month of December is the most natural thing ever, comfort eating is a must in order to keep warm! That’s my excuse and I am sticking to it! Yummy pizzas and a Christmas dinner warm up with Jenny and her family have all contributed to my recent fitness fail. Or so I thought, not a regular full body shot taker, I have an image in mind of what I look like and how my body has changed but a picture taken on Monday night alleviated any fears I had of what I look like. Albeit I look ridiculously tired and straggly (I blame the pressure of carving the turkey! ), my initial reaction was ‘I do not look as fat as I thought I did!’ Yes, I can bloody say that because this is my blog and that was my opinion. Not only have I shied away from taking full body shots, but I certainly never appreciated them being flaunted on social media. Now though I have no qualms at all, because I know I have worked damn hard to transform myself and my weight and I am proud. Proud of my resilience and the fact I cannot even recall the last time I had a drink! Ok, ok, ok… I have just stood on the scales and I surprised myself. I am at D Weight, 4lbs away from target and a good half stone lighter than I expected to be. I haven’t been to the gym in over 2 weeks and haven’t been easy on the takeaways. I am not asking questions and I am taking it! Have the scales ever surprised you? Do you find that taking a break from them helps weight loss? I am both pleased and saddened that you were unable to look at the scales this week. I hope it does not mean you are spiralling down to defeat…I did. I think sometime having a little time away really helps, I had a few bad weeks and gained only a little and I feel spurred on to continue! Glad the scales surprised you. Don’t beat yourself up for taking a break, we can’t be ‘good’ all the time! Thanks lovely! 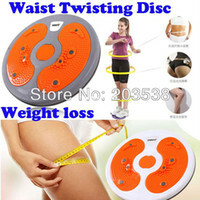 I’ve fallen off but continue to lose weight, totally confusing me – either that or my scales have broken from usage!! I’m starting my journey to weight loss this week. I feel that it’s going well do far. The holidays are the hardest time. But I know you can do it. I would love to dedicate a day for weight loss. I need to do something. Scales do surprise me, good for most of the time. During the holidays, I do stay off them, continue with my portion control, usually works for me.